Welcome again fans of Middle Earth! Glad you stopped by again to see how things are going. 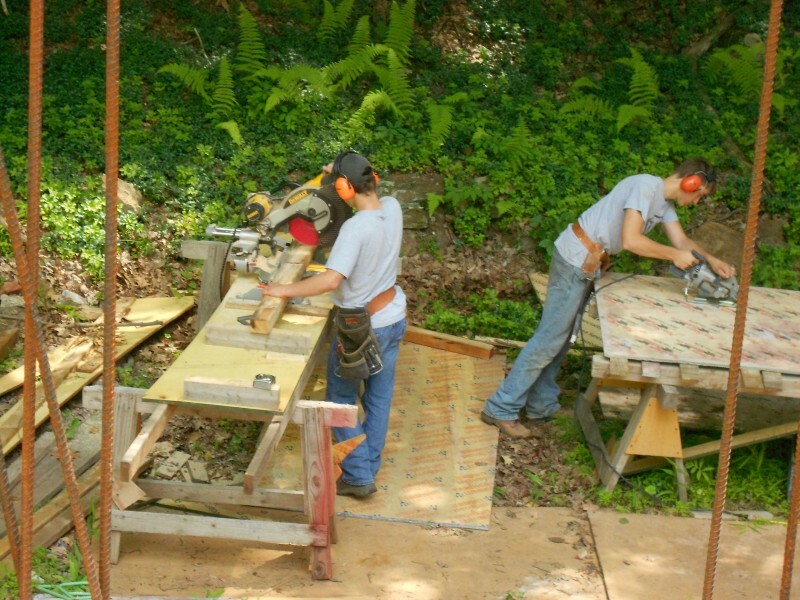 Things are moving along now and the Men of Bree have taken to weekday work now that school has let out. They did a pretty good job, too. We’ll get to the nuts and bolts of what they did later. Just a few minor things before we get started. Again, bear with me here all you none Lord of the Rings’ fans. (Or just skip to the next paragraph cause your not going to get it.) I was thinking the other day that this project is going to take a long time. (For we have really just begun) So it just popped into my head the scene where Frodo meets Gandalf the Grey on the road to the Shire to which Frodo exclaims “You’re late.” To which Gandalf replies, ” A wizard is never late. Nor is he early….He arrives precisely when he means to!” Ah, yes. And that is when our Hobbit house will be done. Precisely when I mean it to be. I’m sure it will be just in time though. Patience is a virtue, so hang in there people. I do have to admit that there is quite a bit more to a Hobbit House than I originally thought. My original Hobbit Shed was chump change compared to what we are doing now. The scale of everything has definitely lengthened the timeline that was originally in my head. Although it seems that we’ve been working a long time, the reality is, we’ve lost a lot of time and many weekends have been cut short for this or that reason. It is definitely going to be hard to say how long a Hobbit House takes to build when we are finished. I do have to admit I was jealous of my sons working there during the week without me. If I could only play hooky from my day job for a week. That would be huge. On a personal note: Jude graduated from high school this week and will be attending Siena College in upstate New York in the fall. He really did work hard in high school and got a very handsome package from Siena. We’re very proud of him for all he accomplished. So one of the things we do for high school graduates at our house is go out to dinner with the family and the grandparents. Jude chose this Japanese restaurant. Now, I’ve never gone to one of these places before. You know, the ones where the chef cooks right in front of you? Man, did we have a good time! And it was really entertaining, as well. It’s kind of a mixture of the food channel and a circus. I mean this guy could juggle and twirl these knives like he was part of a circus act. Just watching him cook was entertaining. The sake didn’t hurt either. On a cultural note: I know for a fact that in Middle Earth the Noldorian Elves have different means and methods than their brethren across the sea. Apparently our brethren across the Pacific don’t drink like we do. Well, the way I do, anyway. I started the night with a mixed drink called a Bonzai. Then I decided to go to the dark side and have a Zombie. So I order my Zombie and about 3 minutes later the head waitress comes out and says: “You ordered a Bonzai before.” I said “Yeah, I ordered a Bonzai before.” Then she says: “But now you ordered a Zombie.” “Yeah I ordered a Zombie.” Then she says…”But your first drink was a Bonzai?” (Now I’m thinking: we are speaking English here aren’t we?) So I say: “Yeah, I want a Zombie.” She says: “Okay….but your first drink was a Bonzai.” I think she walked away shaking her head. And I think she went back to the bar and told the bartender: “Let him have it.” That was the strongest drink I’ve had in long time! In Russia it turns out they would rather drink car antifreeze instead of a Japanese Zombie. I woke up in my bed Sunday morning not knowing how I got there…….Just kidding. The Hobbit part of me comes out when I go out. You know the drinking of fine ales and the like. Well…I’m not much of an ale guy but I’m always up for a mixed drink. That took a lot longer than I thought it would. Shall we continue? 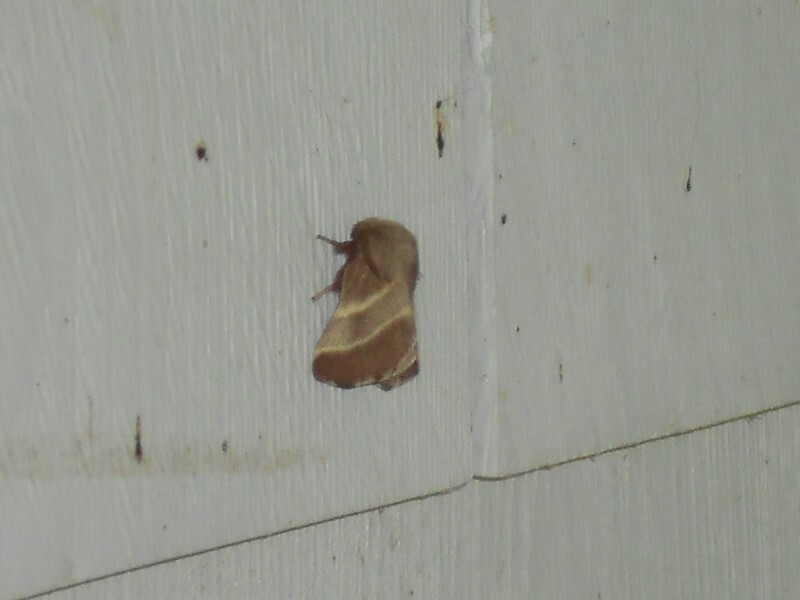 One other quick thing: I just saw the moth that Gandalf talked to in the Fellowship. See what you think. Moth from the Fellowship.If I was trapped on top of Isengard I would talk to a moth too! 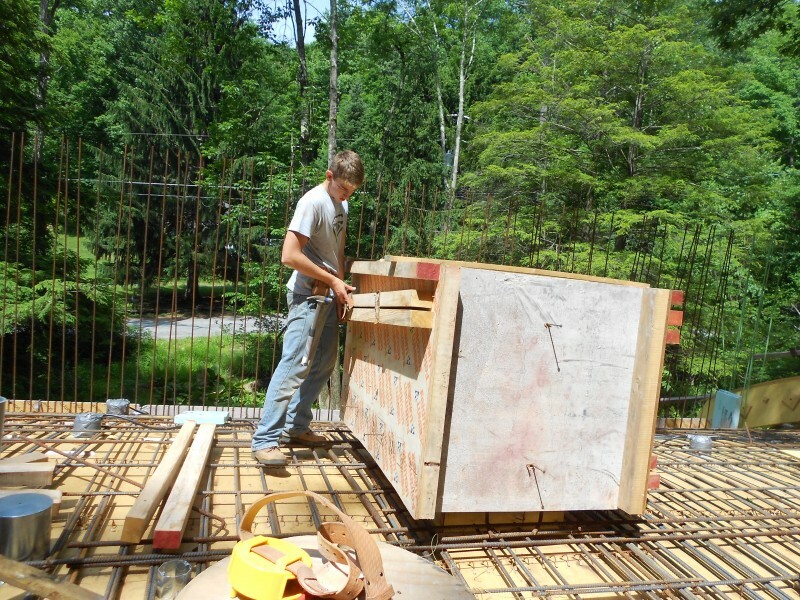 It’s a blog about building a Hobbit House Jim. Can we stop with all the incidentals already….. So Jude and Terence began their quest across the stinking festering marshlands of the Emyn Muil. I mean they finished the bottom mat. There was actually quite a bit of work there as well. It was all the piecemeal stuff. Especially around the skylights. 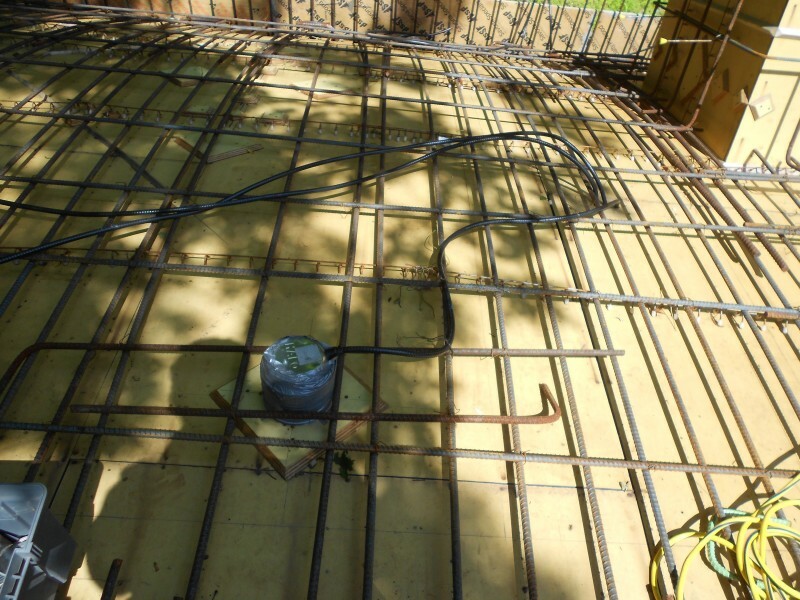 A lot of the rebar had to be cut to fit. All the cutting has to be done on the ground. This has to be done for fire safety, as one of the sparks can put a burn mark on our deck plywood and if that happened, the burn mark could get transmitted onto our finished product. That wouldn’t be good. They also did the skylight rebar detail, as well. I had some guys at work bend U bars for me that would wrap around the skylights. This worked out really well. The boys were able to marry two U bars around the skylight and tie them together. This was our horizontal bar. Once they had these in place it was easy to tie off the verticals. Check it out. I added another vertical in each corner just so you know. If you look you can see that the bottom mat is completed. They also finished the interior walers on the skylights. Which seemed to give everyone a problem. Anyway Terence’s left hand started to cramp up because he was tying so much steel and Jude got frustrated from being trapped inside the skylight. Why is the biggest guy on the job working in the smallest space on the job? Can somebody explain that one to me? It’s too bad I’m not doing video for this blog. Jude’s imitation of Terence’s hand cramping up on him is worth putting in here. They just worked two days but they did get a lot done. Thursday was graduation rehearsal practice and Friday was graduation. Which brings me to Saturday. So one of Terence’s friends, Paul, has wanted a Hobbit Hollow tee shirt but knows you can’t get one unless you work. So I asked Terence if Paul would be interested in acquiring one of those coveted shirts by working Saturday. It turns out he was available which was great. Terence is going to need a partner and Paul did really well for a first timer. So I set them up closing up the skylights. 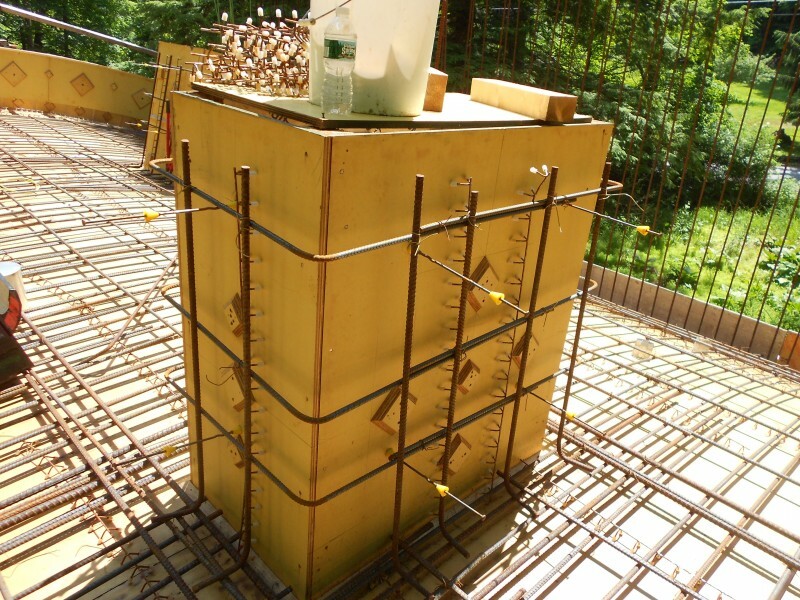 Which is actually a pretty technical job as far as concrete formwork is concerned. I walked them through the first one and kept an eye on them for the second one giving them a hand every once in a while. It went really well. 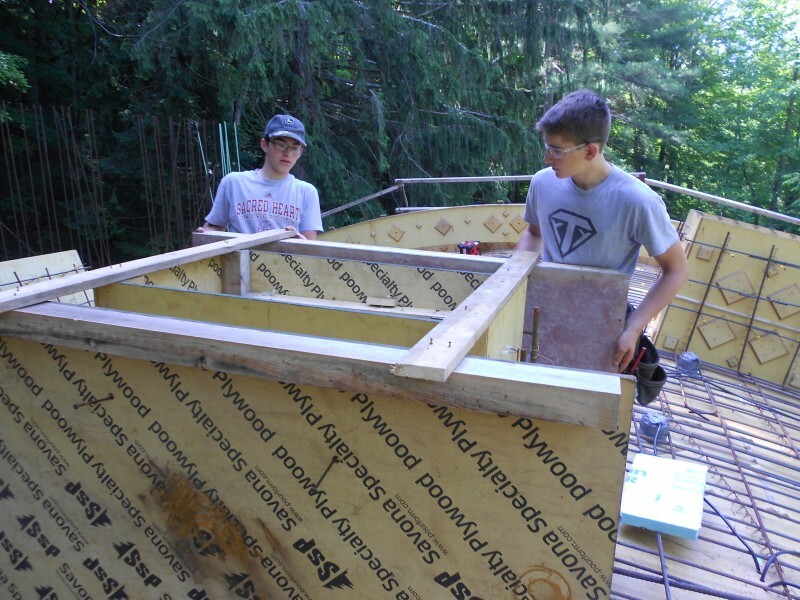 They completed two skylights and have a good start on the third. Here’s a couple of pictures. Putting the frame together. Paul and Terence. Getting everything where it’s supposed to go is no easy feat. I had already made the initial template for each skylight way back when. So it was just a matter of tracing that template and cutting it out to get going. I had also drilled the snap tie holes in the template as well. So what we did here was use a 1×4 as a guide to help us locate the first two pieces that are shown here. I had Paul cut a couple of 1x’s long and then we nailed them into the skylight flush with the inside face like it’s shown in the picture. I don’t know if you’re going to get this but I’ll try. We made a mark 8 inches out from the skylight on the 1x and this is the width of our skylight wall. I have a mark on the plywood that we are installing that’s related to the inside face of the skylight. We line those two marks up and nail through the 1×4 into the 3×4 header on the sheet we are installing. (I know I lost you…just look closely at that picture. The editor is so lost right now….she does have a good tan though.) Another picture. Paul working the chopsaw, Terence cutting the template. Terence Installing the skylight walers. So we got a pretty good system going once we did the first one and we started to rock and roll. I went back to electrical work. I wanted to show you a couple of other things we did. In addtion to the hi-hats we also have regular ceiling fixtures that have to be wired. I got these nail down octoganal boxes from my friendly neighborhood hi-rise electrician foreman. 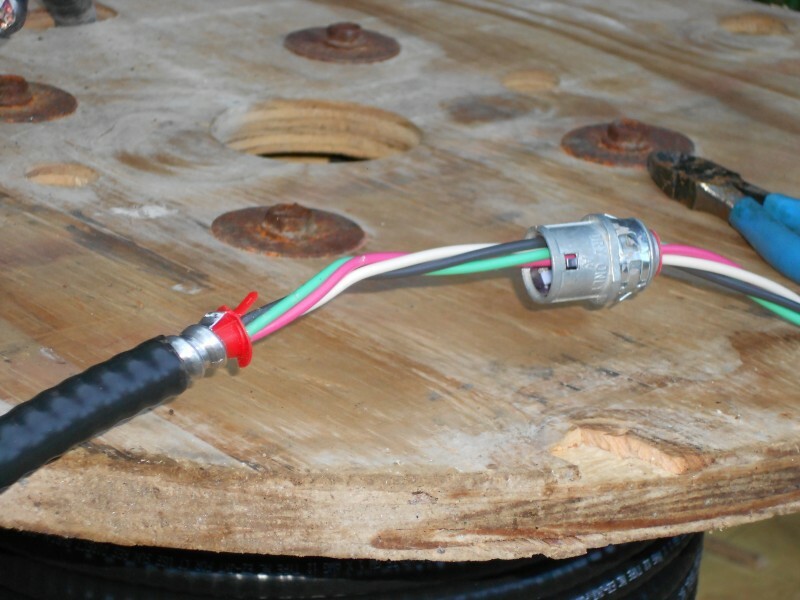 Like I said, you nail them in place and then use a snap on BX connector to attach the wire into the box. Check it out. 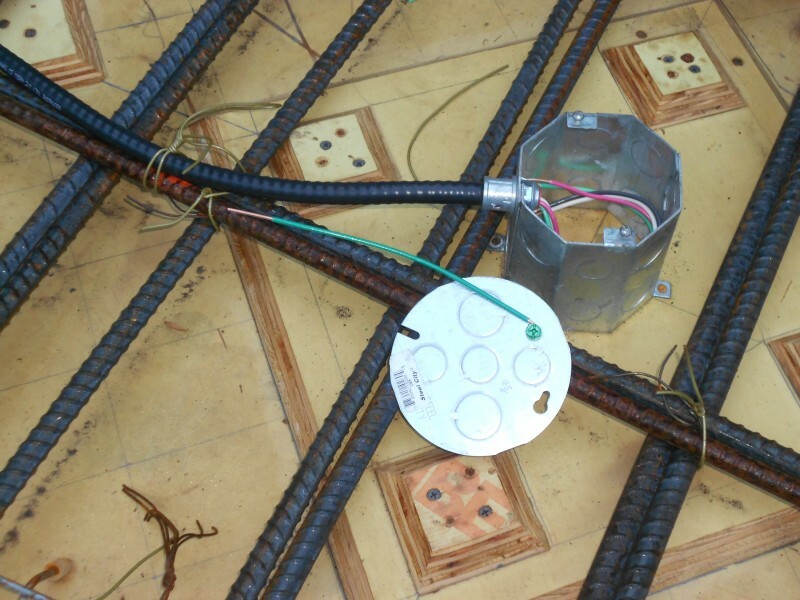 Octagon box with grounding wire attached to the cover. So the other thing we worked on electrically was running the wires into the respective room partitions. It really helped having all the partitions laid out on the roof. I was able to drill the holes for the wires right over the spot where the future switch will be. Check it out. Wires running to switch below the deck. This was actually a two man job. One man held the wires at the can so they wouldn’t pull out while the other guy fed the wires through the holes I had drilled. On the first ones we did the wires pulled out of the hi-hat. It wasn’t too hard to fix though. Part of the Hobbit House learning curve. Anyway, that’s pretty much it for now. Here’s a final picture of Terence and Paul in front of their work. Paul and Terence at the end of the day. Two and a half down. One and a half to go. Oh yeah, just for the record Paul ordered a first for lunch at the Hobbit Hollow worksite: a BLT on a roll with mayo. Not toasted. It came back to us accidentally toasted. He handled it graciously. Hmmm….this kid might work out as one of the Men of Bree. For those of you who are keeping score: this picture illustrates how we are going to pour the skylight curbs with the roof monolithically. We will pour concrete into the top of the skylight wall until it fills up about halfway. We’ll vibrate it and then square up the slab pour around the skylight. Once we finish the slab we’ll bring the concrete pump back over the skylight and top off the wall. Advanced Concrete Pours 102. Who knew you were gonna learn so much? I have another story to tell…..I’ll save it for next week. Oh boy it’s a doozy! PS: If you haven’t read Sally H.’s response to last weeks post you’re missing out. Very interesting stuff. There really is a lot to learn out there. I’m completely flattered. (And having some hope that my posts don’t sound like lectures.) Thank you. Like I said you’re our resident Radagast the Brown. A special Wizard if ever there was one! Wow, learning a lot from both you and Sally H.! Congrats to Jude – Siena is a nice school as we know folks who graduated from there 30 years ago (Veschi, MJ, Patsy) Hey, when you got home after having the mixed drinks, did you drop your keys in the driveway? Don’t know if you remember that one. I’m proudly wearing my Hobbit Hollow shirt as I walk on Clearwater Beach. Can’t wait for next week’s doozy story! Clearwater…nice! Hope everything is going according to plan down there. 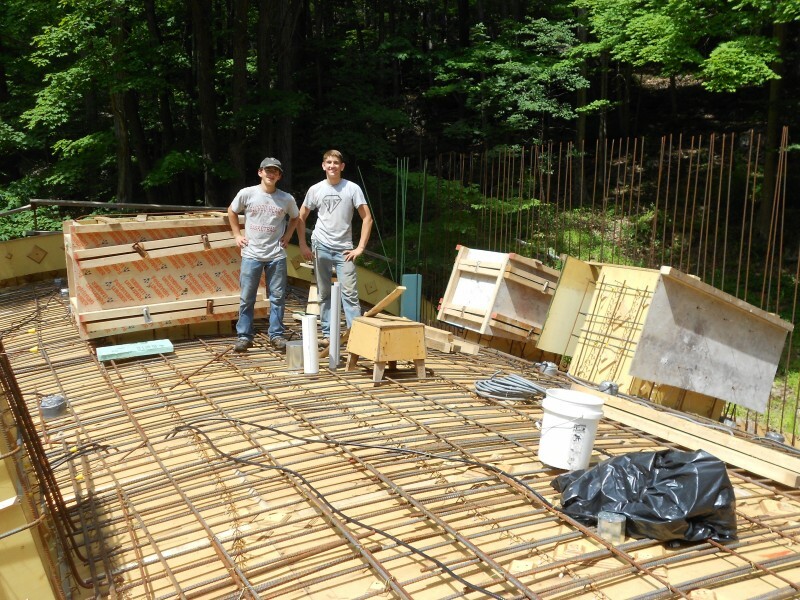 Who knew we were going to learn so much on a construction blog? Didn’t get the chance to drop my keys. I think Jodi handed them to Jude and he drove home. The doozy of a story is a bit touchy. The editor could put the cabash on it if she doesn’t like the way I word it. We shall see. Thanks for writing and I hope all is going well!